There is nothing worse than a film that has the potential to be a groundbreaker, starts out with all of the promise you had hoped to be witnessing, and then goes and messes things up because it takes the viewer for a mug. Well hello Unsane, Steven Soderbergh’s read the terms and conditions thriller shot on the iPhone 7 Plus – available from all good retailers now; kerching. Claire Foy stars as Sawyer Valentini, a young woman who – under stress from being stalked – seeks a consultation at a mental health facility. When she unwittingly signs a contract consenting to her commitance to the facility for 24 hours, Valentini comes to learn that life on the inside of the facility is far worse than outside. 24 hours turns to 7 days, and with the patients heightening her anxieties and the medical staff seemingly convinced of her insanity, Valentini descends into the rabbit hole of her own mind as she fights to stay sane. And when she notices a consultant who is remarkably similar to her stalker, things take ever more dark turns for the worse. In a society that is always connected, compliant without consideration, and shrouded in doubts over accusations and our mental health care system, Unsane had all of the makings of a socially stinging cautionary tale and a profoundly disturbing psychological thriller – a latter day One Flew Over The Cuckoo’s Nest or an updated Shutter Island. What we received instead was some impressive visual tricks with an iPhone, a score that is midway between Vangelis’ Blade Runner synthesized symphonies and rejects from The Lobster’s quirky soundscape, and a narrative that creates a solid foundation before whacking it away with a wrecking ball of predictable twists and unforgivably uninventive character arcs. Oh, and Matt Damon for absolutely no pertinent reason in a scene that felt like it could have been cut, even given the sub 100 minute runtime. 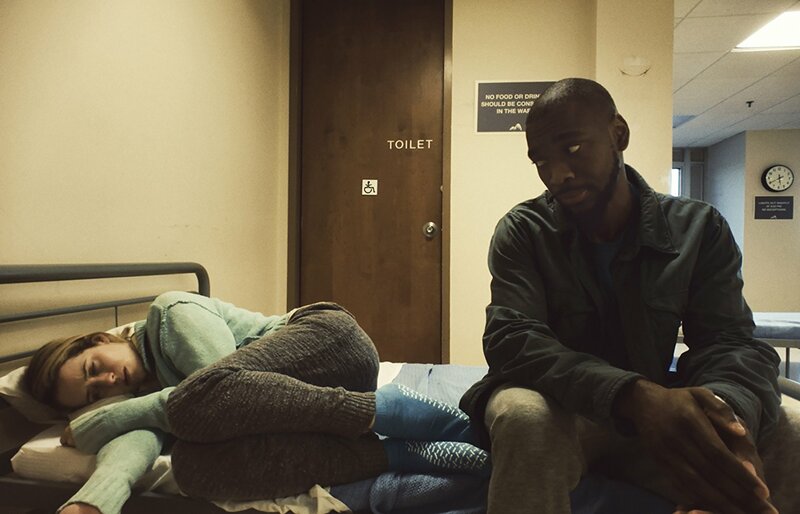 Claire Foy plays Sawyer Valentini (left) alongside one of her co-stars Jay Pharaoh as Nate Hoffman (right). Soderbergh’s bold move to shoot the film on an iPhone is, to be completely fair, inspired. The claustrophobic aspect ratio and the voyeuristic metacinematic relationship between viewer and narrative that is created is innovative and well justified – for a film that has such an emphasis on its stalker element, knowing that we watch on from the bushes and cracks in doors through a device we use daily is unsettling and genuinely creepy. It is subtle, thought provoking, and has the potential to become a successor to found footage shaky cams without being quite as gimmicky. Using high quality iPhone filmmaking apps and apparatus, the device can function like a top end camera, whilst having the versatility and immediacy that lugging a complete shooting rig doesn’t allow. You feel like you’re in the moment of each scene, and the atmosphere it creates at times is truly brilliant, at times… some of the effects applied in post-production are remarkably amateurish and ineffective, feeling more akin to a windows movie maker job than a progeny of a multi-millionaire director. Unfortunately, visual storytelling and cinematographic beauty can only be truly appreciated when it is illuminating a solid story. You can film cow manure against a gorgeous sunset in an exquisitely executed shot, but it’d still be a piece of cow manure. Sadly, Unsane suffers from a seeming need to stick to a well worn path…through the woods…with a maniac, rather than to keep on the unique psychological plane it establishes so well in its first act. Claire Foy puts in such a raw and desperate performance that she deserved better, and Joshua Leonard’s David Stine(stein – geddit) is such a conventional obsessive stalker that he fails to menace and instead irritates. There is one scene in which his character seems to break down, the finest scene in the film, and I was buying it and changing my mind about him being just another sexless weirdo, and the film ran with that for ten minutes or so to a very dark place that I thought was provocative and sickening and NEW… but then it never got there and it really annoyed me. We ended up with just another crazy to add to the pile of crazies we’ve never remembered. 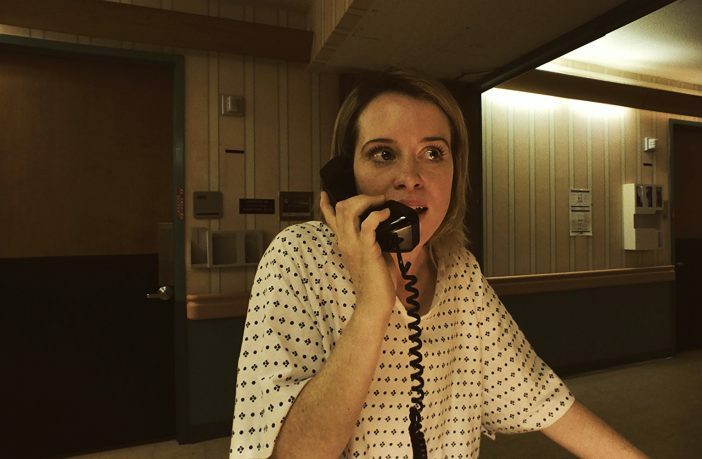 Unsane was shot entirely using an iPhone, adding a different dimension to the film. The amount of illogically dumb faux pas in the plot grew tedious too, with so many moments in which Sawyer could have escaped or Stine been caught, and towards the end, a growing list of impossibilities that went beyond ‘oh but plot’ and became ‘oh for goodness sake’. 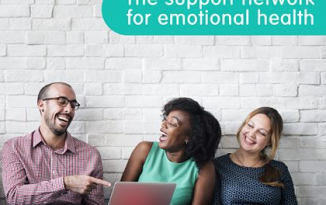 As the body count grew, my interest fell, and to then skip forwards in time by six months after the climactic events, resolving nothing and showing no consequences, was the icing on the cake for me. The ending was intended to be ambiguous and instead, was plain stupid. We were meant to be wondering whether Sawyer was truly insane, but by that point the only one who’d lost their mind was me, and my attention was gone long before then. Oh, and the central premise of the film is factually impossible, which I can forgive on the grounds of its genuine narrative purpose and promise, but yeah… if you voluntarily commit yourself to a mental health clinic, you can walk right back out again whenever you feel ready. A bold and cinematographically striking piece, a genuinely fascinating concept, and a stunning central performance, helmed by and curated by a director with immense talent, was not enough to save Unsane from disappointing. A great beginning and an interesting idea stunted by a real misstep at the halfway point turned a potentially brilliant film into just another notch on the belt of underwhelming thrillers. Unsane? More like unept, if you follow my wordplay. If you enjoyed this review and want to read more articles by myself, click on the LETTERBOXD logo below for reviews and more! Unsane is screening in cinemas everywhere now.